Experts still can't decide on a definition of a Gulf War illness. In a report released Wednesday, researchers stated that they could not decide on a definition for the condition known as Gulf War Illness. The researchers, who were working on behalf of the Institute of Medicine, suggested two existing definitions, rather than providing clinicians at the Department of Veterans Affairs with clear guidelines for treating patients. 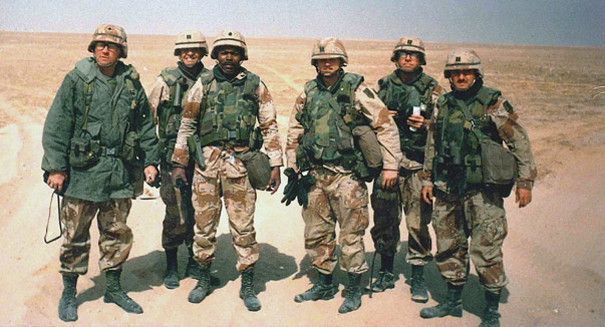 With 250,000 veterans suffering the disease, clinicians have been desperate for a definition that will assist them in conducting efficient studies and providing effective counseling for their patients suffering from Gulf War Illness. Gulf War Illness is believed to have resulted from exposure to chemicals which were distributed through nerve gas, oil well fires, pesticides and other harmful sources. The symptoms of the disease include fatigue, respiratory problems, joint and muscle pain, and gastrointestinal issues. The panel of researchers at the Institute of Medicine reviewed more than 700 studies and their resulting health outcomes as they related to the Gulf War. During this research, the panel assessed that there was not enough consistency or recurring elements in the provided cases for them to provide a streamlined definition for the disease. With insufficient evidence available for the committee of researchers to establish a definition, they reverted to two previously made definitions. Researchers explain that a new definition could be made, but further data will need to be collected in order first, stating that the biggest flaw in the data that they currently have access to, is that it is based on self-reported data, rather than scientifically collected data. Moving forward, researchers hope to have better documentation of chemical exposure so that future cases, similar to symptoms of Gulf War Illness, can be well documented and tracked, making it easier to attributed and assess health conditions, ultimately making it easier to form a comprehensive and thoughtful definition for Gulf War Illness and similar diseases.